It's the buttermilk in this recipe for Polish Buttermilk Rye Bread that gives it the tang usually associated with rye breads. It takes the labor and time out of creating a sour starter. 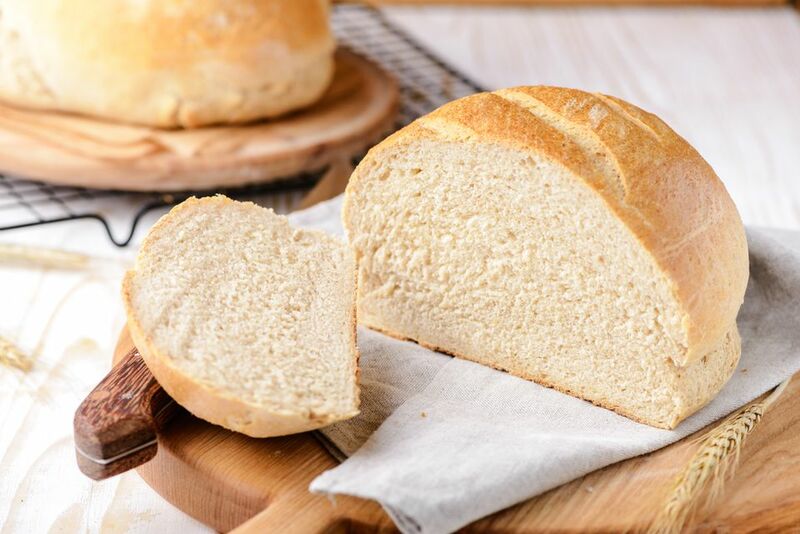 While white bread has its place in Polish cuisine, Poles are particularly fond of rye breads and black breads that are made with 100% rye flour and use no white flour to lighten the loaf. Enjoy this hearty bread with soup, as toast or even in stuffing or sweet bread pudding. And here are Leftover Rye Bread Recipes. Shortcut: Follow this Quick Tip for faster rising. In a large bowl or a bowl of a stand mixer, add all ingredients and mix well. Knead on low 7 minutes in mixer or 10 minutes by hand. Heat oven to 400 F. Line a large baking pan with parchment paper. Punch down dough and form into 2 oblong or round loaves. Place on prepared pan, cover with oiled plastic, and let rise until almost doubled. Brush risen dough with egg whites for a shiny crust or plain water. Make 4 diagonal shallow cuts (use a lame or razor blade) in the dough. Bake 25 to 30 minutes or until internal temperature on an instant-read thermometer registers 190 to 195 F.